One of the comments I received in response to my previous post was a request for more information on what Wellington was like in its earliest days, particularly for its youngest inhabitants. As I explained in response, it has been challenging to locate primary, or even secondary, sources on that topic. But it later occurred to me that I had run across at least one relevant account that I had not written about previously, so I thought that might make an interesting subject. 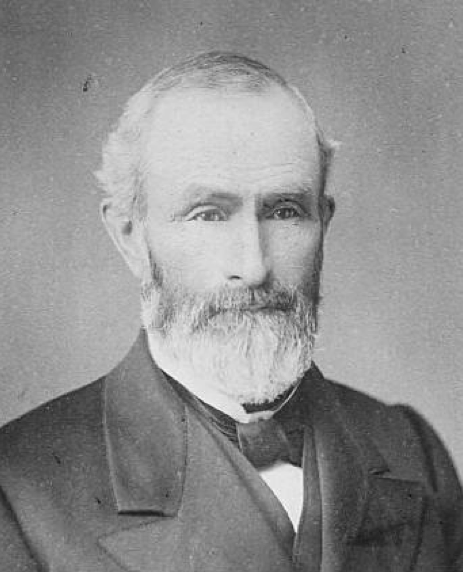 Henry Martin Bradley was born–as were so many Wellington settlers–in Lee, Massachusetts. He was related by marriage to the Howk family, one of the first groups of people to arrive in the area in 1818. His own family moved west in May 1835, the month Henry turned eleven. He attended school in the village, but moved to Seville, Ohio at age seventeen. He later continued on to Michigan and then Minnesota, where he became a prominent businessman. At age 83, Bradley wrote A Brief Autobiography (1907). In it, he described his memories of early life in Wellington. Apparently one of his sons was so embarrassed by the work that he rounded up all the copies he could locate and destroyed them, making the title hard to find today. I am indebted for most of the above information to one of Bradley’s descendants, Stuart V. Bradley, who wrote his own 1976 senior thesis about his family’s history and quotes Henry’s book at some length. I would encourage you to visit his family history website, found here. “In the season of eighteen hundred thirty-six [when Henry was twelve years old] the lye extracted and reduced produced of black salts about three hundred pounds. It was my duty to take them to market in order to procure flour and groceries for the family. This was done by procuring a crotch of a small tree of the proper shape and preparing it for this purpose with a cross piece, and then placing a trough of the proper size on to it to contain the salts. With the ox team it was drawn to market, two and one-half miles through the woods to a place where black salts were reduced to pearlash. From the sale of this a barrel of flour and other groceries were to be obtained and conveyed home. Instead, however, of receiving the barrel of flour, as expected, I obtained an order for a barrel of flour on a man five miles away from our home, and took all of the next day with the ox team to get it home where it was so much needed. On arriving home at night, the second day with this barrel of flour, there were two men there waiting to borrow as much of it as was possible. Mother was not disposed to lend this hard earned necessity, but father was kind hearted and accommodated his neighbors to a reasonable amount” (Henry Martin Bradley, A Brief Autobiography, pgs. 5-11, quoted in Stuart V. Bradley, Jr., “Moving with the Frontier: The Bradley Family of America 1644-1918,” pgs. 37-38). Stuart Bradley also recounted, though he did not quote directly, a reminiscence of Henry’s about his brother, Charles, two years his senior. Henry was responsible for herding home the cows at night, which were allowed to wander in the woods during the day. He would shake the large bell of the oldest cow to frighten away any wolves that came too close. His older brother was responsible for milking the animals when they were safely penned. Charles was once punished by being sent to round up the cows in the dark in Henry’s place. He became lost, was treed by a wild pig, but in the morning found himself at a neighbor’s homestead five miles distant. A search party had been organized when the cows returned home without the boy, but they were dismissed when he finally made his way back later that day (pg. 38). Additional source material about Henry Martin Bradley and his family, including a family genealogy that he compiled and the full text (with illustrations) of Stuart V. Bradley’s senior thesis, can be found here. 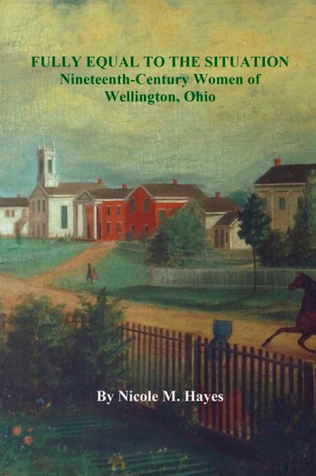 This entry was posted in Genealogy, History, Ohio, Wellington on August 30, 2015 by Armchair Historian. Mr. Bradley, how wonderful to hear from you! I was delighted to find your thesis online–thank you for sharing your research with the world! By any chance, did you copy the autobiography? I would love to contact you offline if it were possible to get photocopies of the full Wellington section? Again, many thanks! P.S. I wrote a three-part post on the Howk family, relatives by marriage of your GG grandfather, that might interest you. See the link in this post. Cheers! So it appears that the Howk family lead the way for the Bradleys to move West from Lee, Massachusetts to Wellington, Ohio. Very interesting. Yes, Fiche Howk Bradley’s gravestone is still standing today, with a damaged base next to it that I suspect was Josiah’s stone. You should come for a visit someday–Wellington history is full of Bradleys and Howks! I like all your postings and would like them even if they were not about Wellington. I just enjoy taking a peek at days of yore. Sadly, I have lost track of the photocopy of Henry Martin Bradley’s Autobiography that I obtained from my cousin in 1974 or so. It will probably turn up in one of the boxes I have in storage. I do remember that there was some additional material about his childhood in Wellington that I did not use in “Moving With the Frontier” that related to wolf attacks on carriages at night. I would be happy to provide you with an original copy of “Moving With the Frontier” if you are interested. I still have about 40 copies of the original 500 that were printed in 1977 paid for by the HM Bradley Trust. That is most kind of you. I would be delighted to have one. If you would like, I could donate one to the local history collection of the Herrick Memorial Library on your behalf. I will email you my address.